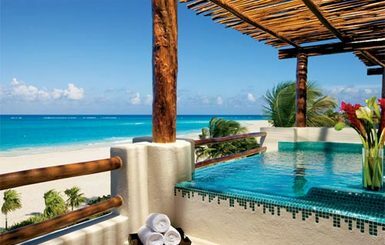 The Secrets Maroma Beach is the ideal place to find serenity as you gaze out over the sapphire waters off the coast of the secluded Yucatan Peninsula. 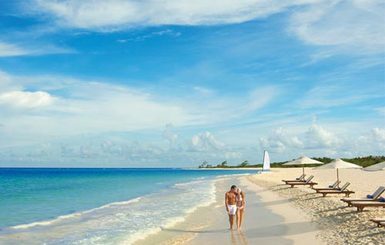 A luxury resort, it boasts an immaculate beach; an uncrowded, peaceful haven that allows for calm contemplation as you soak up the sun along with the stunning views. 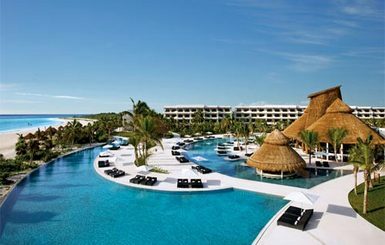 The resort has a beautiful infinity pool which to the naked eye seems to stretch forever as it melds with the ocean’s smooth waters on the horizon. 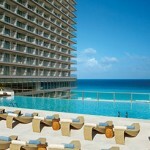 A stylish swim up bar is featured, serving long, cool cocktails and bounded on all sides by clear, warm water. Entertain yourself with such activities as beach volleyball or a water aerobics class, or examine the colourful marine life a bit more closely with some snorkelling. Lie back on the beach in the evening and get your fill of star-gazing, singling them out from the clear, night sky. 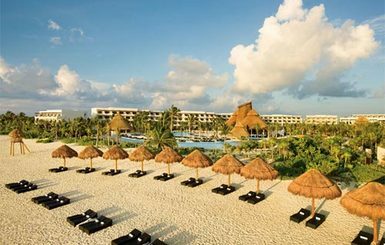 Find a peaceful, serene sanctuary at the Secrets Maroma Beach. 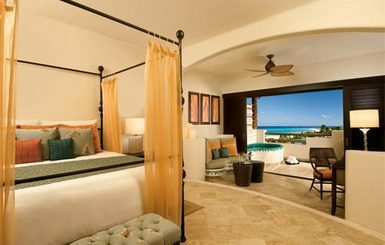 Preferred Club Junior Suite Ocean View – Each suite has an ocean view, a four-poster king or two double beds, armoire complete with his and her closets, desk, sofa, full bathroom, private and furnished terrace with exterior private soaking tub. Preferred Club Junior Suite Ocean Front – Each suite has an ocean view, a four-poster king, armoire complete with his and her closets, desk, sofa, full bathroom, private and furnished terrace. 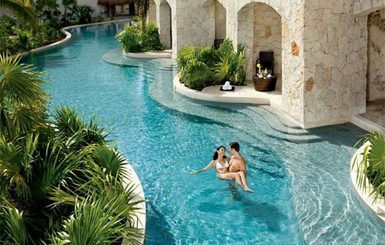 Preferred Club Junior Suite Swim-out – Each suite has a four-poster king size bed, armoire complete with his and her closets, desk, sofa, full bathroom, and a private and furnished terrace with direct access to one of the 12 pools that flow to each ground floor patio. Preferred Club Honeymoon Suite – Each suite has an ocean view, four- poster king bed, armoire complete with his and her closets, living room, dining room, two sofas, table, refrigerator, microwave and a private and furnished terrace including a exterior private soaking tub, table and chairs, towel rack and telescope. Presidential Suite – Each suite has an ocean view, four- poster king bed, armoire complete with his and her closets, living room with bar and home theater with 40″ flat screen TV, dining room with seating for eight, two sofas, kitchenette with refrigerator and microwave and a private and furnished terrace including a Jacuzzi for four, table and chairs, towel rack and telescope. World Café – Specializing in international cuisine, this buffet-style restaurant offers guests a variety of specialty items and classics for breakfast, lunch and dinner. The dress code at World Café is Casual. Portofino - Explore the flavors of the Mediterranean with delicious Italian favorites served each evening. Portofino’s dress code is Casual Elegance and is available for dinner only. 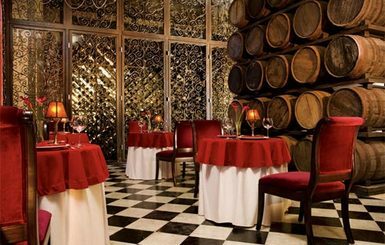 El Patio – Authentic Mexican style cuisine dedicated to traditional favorites in a local ambience. El Patio is open for dinner only and the dress code is Casual Elegance. 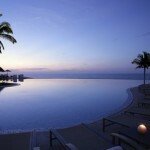 Oceana – Situated under a palapa, Oceana serves fresh gourmet seafood in a quiet and romantic seaside setting. This all time favorite is only open for dinner and Casual is the dress code. Seaside Grill – Located by the pool with stunning ocean views, this restaurant serves up all of your favorites from the grill. The Seaside Grill is open for lunch and dinner and the dress code is Casual. Himitsu – Offering guests a fusion of Pan-Asian and oriental á la carte delicacies, the Himitsu is open for dinner only with a Casual Elegance dress code. Arrive early if show cooking piques your interest because this restaurant offers four Teppanyaki tables. 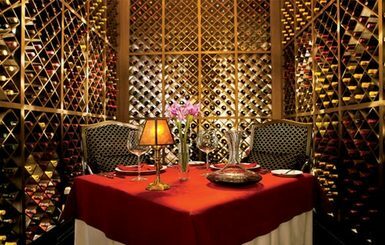 Bordeaux - Savor the taste of French cuisine each evening at Bordeaux, serving delectable fare in a romantic, elegant setting. Open for dinner with a Casually Elegant dress code. Coco Café - Enjoy premium coffee and snacks in a casual and relaxed atmosphere at the Coco Cafe. Rendezvous Lobby Bar – Enjoy chic surroundings while lounging with a cocktail. Showtime Bar - Sip your favorite cocktail while enjoying our nighttime entertainment. Sugar Reef - Pool and beach bar serving your favorite tropical cocktails. 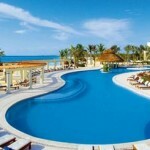 Manatees Swim-up Bar – Swim-up pool bar completely surrounded on all sides by water. Barracuda Beach Bar – Open daily under the palms of the beach. Desires Night Club and Sports Bar – Watch the flat-screen televisions or dance to the DJ in this contemporary music lounge and sports bar. 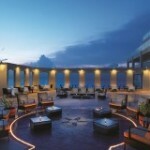 Revive Spa Bar – Revitalize your body with a fruit juice concoction.